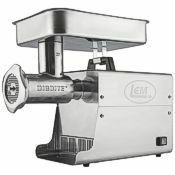 If you’re in the market for a meat grinder, we’ve put this guide together to aid your decision making process. Have questions about which model or type is best for you? Give us a call and talk to our friendly, experienced customer service staff! Standalone meat grinders come in manual and electric models. Electric meat grinders have grown in popularity, as they require less work to grind a batch of cubed meat and, with that increased efficiency, the meat stays cold—which helps maintain pleasing texture. Instead of purchasing a standalone grinder, some cooks choose to add attachments to kitchen tools they already have so they can be used to grind meat. These attachment-type grinders are most often used with stand mixers. They provide more versatility with your kitchen mixer, as they can grind and mince virtually any food, including meats, vegetables, fish, and potatoes. These attachment-type grinders are easy to use and can provide high quality results. Use these links to check out the attachment for the Bosch Universal mixer, WonderMix or Ankarsrum mixer for more information! Screw – the screw is the main driver of the meat grinder. It pushes meat from the feed chute toward the blades. Blade/Knife – the blade (or knife) may have either two or four cutting edges. The blade works with the plate (see below), rotating against it to cut the meat. It sweeps across the holes in the face of the plate to form sharp 90-degree angles to precisely grind the meat. Plate – also known as the disk or disc, the plate has holes that your meat passes through. The smaller the hole, the more finely ground the meat becomes. Most meat grinders come with multiple plates so you can choose the coarseness and texture of your meat. Ring – this keeps the blade and plate in place while in use. Tray – the tray holds meat that’s ready to send down the feed chute. A large sturdy tray provides the best convenience and efficiency. 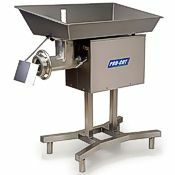 Pusher – the pusher is used to feed cubes of meat down the feed chute. 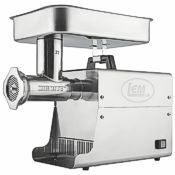 Selecting the right meat grinder is just the first step in processing. From maintaining a nearly frozen temperature to keeping your knife and plate set sharp, your method and technique can make the difference between mushy meat and the perfect texture. It’s extremely important to have (and keep) the meat you’re processing just above freezing temperature right up to the moment it’s ground. The fat and connective tissue in meat cut easily when nearly frozen, but as they warm up, these parts can resist cutting and make grinding difficult for both machine and operator. The next crucial factor to successful meat grinding is having a knife and plate set that is sharp and properly mated. Dull or poorly matched (more on that below) knives and plates make a grinder work much harder, can cause jams, and produce meat that is mushy. When quality knives and plates are new, their cutting edges are extremely sharp and they're in a perfectly flat plane. As a knife and plate are used together, they will wear in a pattern that's no longer perfectly flat. They can still work well that way as long as they're kept together as a set, but if a non-flat knife is switched to a new, perfectly flat plate, gaps will exist between the cutting edges of the knife and the edges of the plate's holes. Even though the edges may be sharp, the effect of this kind of mismatch is largely the same as if the edges were worn out and dull. For this reason, we recommend using a separate knife for each plate and carefully keeping that pair of blade and plate together (even mismatches nearly imperceptible to the naked eye can have a major effect on performance and output). Plates are reversible; one side should be used exclusively with one knife, then when the plate is reversed, the knife should be discarded and replaced with a new knife for the new side of the plate. The sharp corner of some hard tool (a screwdriver for example) can be used to make scratch-marks across the abandoned side of the plate, so you can tell the sides apart in the future. Some brands and models of electric grinders have a reversing feature—although with the right selection of a high-quality, properly-sized grinder and good technique, you should need the reverse feature rarely, if ever. 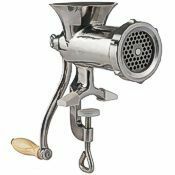 A meat grinder is unlikely to jam if it’s sized right for the job, has sharp, matching plates and knives, and your meat is kept just above freezing right up to the moment it’s ground. Most standalone models have the ability to make sausage using stuffing tube attachments. Making sausage includes the normal process of grinding meat but adds in fat, salt, and flavorings on the front end and then guiding the ground-up meat into castings. While you should salt your burgers after forming the patties, you should salt your sausage before grinding, as the salt dissolves some of the proteins and creates a springier, sausage-like texture. If you’re looking for sausage with extra-fine texture, we recommend you grind your meat twice—first through a large-holed plate and then through a smaller one. To keep the meat safe and easy to process, chill between the first and second grindings. This will prevent smearing and lead to great quality sausage with just the right texture. 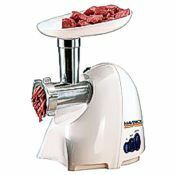 For uses like preparing sausage, burger patties, soup meat, and more, a home meat grinder will do just the trick. But if you plan to use a meat grinder for more intense preparation, including processing game like venison and elk, don’t let the “commercial” label on our commercial meat grinders steer you away. Many of our customers are hunters who process all of their meat on their own. 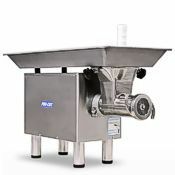 Investing in a commercial meat grinder gives them the size and processing power to economically produce outstanding products with the hands-on control they want. 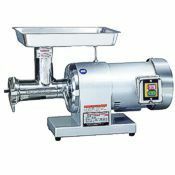 Browse our selection of commercial meat grinders or learn more about the selection from PRO-CUT and Thunderbird below. 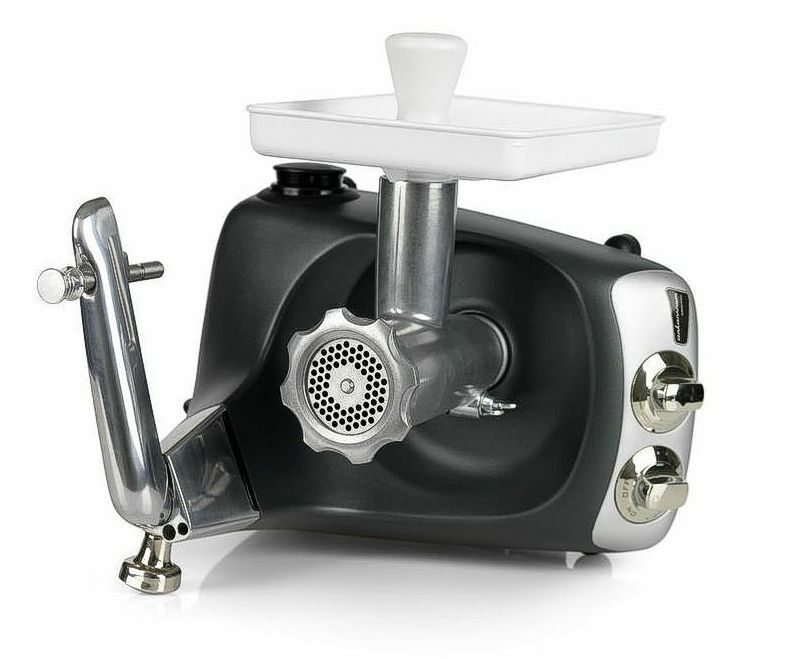 To get the best taste and texture from your game or meat, you should invest in a high-quality meat grinder. At Pleasant Hill Grain we carry the best on the market, featuring models from LEM, PRO-CUT, Thunderbird, Waring, Maverick, and Weston. Learn more about the manufacturers below, or call us to ask our knowledgeable staff product-specific questions. 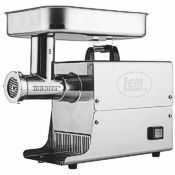 LEM meat grinders offer five size choices, so there’s a fit for every job and budget. Ranging from ¼ to 1.5 horsepower, these models use high-torque motors and a special feed screw design to grab meat aggressively, eliminating the need for forceful stomping. 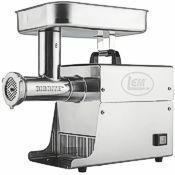 LEM grinders feature stainless steel headstocks, feed screws, grinding plates, blades, meat trays, and cabinets. PRO-CUT produces a line of grinders that are engineered and built for commercial use and allow for extended periods of grinding—even all day. Commonly found in delis, meat markets, butcher shops, and grocery stores, these machines are able to produce quality ground meat and provide reliability in both quality and usability. 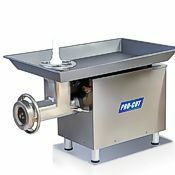 PRO-CUT commercial meat grinders feature grinder trays and housings made of stainless steel. All feed screws and headstocks are long-life, tin-dipped, fine-grain cast iron to ensure the equipment provides your business with years and years of trouble-free service. Thunderbird is another highly respected name in commercial meat grinders. 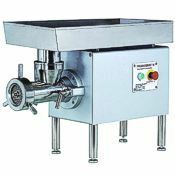 Thunderbird 500E (5 HP), Thunderbird 400E (1.5 HP), and Thunderbird 300E (1 HP) commercial meat grinders have solid stainless steel feed screws and headstocks, headstock rings, and meat trays. Maverick makes a compact tabletop grinder, the 5501 electric meat grinder, that really packs a punch for its size. 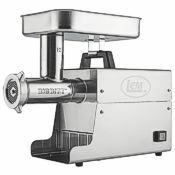 It’s one of our customers’ top picks for a home kitchen meat grinder, as it runs quietly, cleans easily, and store compactly. 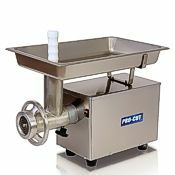 The 5501 comes with three sizes of meat grinder plates as well as a sausage stuffing tube. Pleasant Hill Grain provides a superior online shopping experience for home and kitchen products, including our selection of high quality meat grinders, both standalone and attachment-type. We offer free shipping on orders over $59 and provide phone support from our friendly, experienced customer service staff. We’ve been selling and supporting quality grinders for many years, and we would appreciate your business!